VSA’s April 2019 Newsletter! Read Up On Everything Regarding Singing! I want to start by wishing everyone a Happy Easter! I hope that you all get to relax and spend time with your friends and loved ones. I hope that you all had a great month as we did! March was a very busy month personally for me on the teaching front but also very busy on the social media side. I have been doing updates and checking in live on Facebook and Instagram every alternate day to give you an insight on my day’s activities. In March we consistently released one video podcast and one ASK VSA YouTube segment every week to great response. Please keep all of your questions and correspondence coming to all social media and I’ll be sure to respond to everyone’s comments and questions. Thank you to Ryan Vox for helping the set up the new Moreabinn studio with great response from the general public. The student concert on 24th of March was a huge success with numerous new up-and-comers performing for the first time. New teacher Natalia has settled in extremely well at the Dandenong and Carnegie studios. A few students have personally reached out to me with glowing recommendations and testimonials about how great she is as a teacher. YEAH!! On a personal note, I have been enjoying the warm weather and Indian summer that we’re having. I went to see a few VSA bands perform live this month notably Dream On Dreamer and Airbourne at Download festival. Have a great April and Easter. THAT IS A MASSIVE $80.00 SAVING!! For a limited time only until the 19TH of April! Give that special someone a truly memorable gift of singing this Easter. Whether you would like to purchase one class for a singer that may want to try singing lessons for the first time or as many lessons as you would like for your experienced singing love one. To purchase a gift voucher go to https://voxsingingacademy.com.au/lesson-gift-vouchers/ or call 0422 278 289. * This offer is only available to new students only and not available to current students. NEWLY OPENED MELBOURNE CBD & MOORABBIN STUDIO’S NOW TAKING BOOKINGS!!! WHAT SINGERS SHOULD & SHOULD NOT BE DRINKING. Here are also some tips about other different liquids that you can drink. Note: Everything that we’re going to mention here in moderation and it is a personal preference. VSA WELCOMES TEAM MEMBER ANASTASIA TO THE FAMILY! Let’s give a big round of applause for our latest talent member to join the VSA family, Anastasia! Vox Singing Academy is growing! Are you a confident vocalist and want to share your skills and experience? You must be reliable, friendly and outgoing? 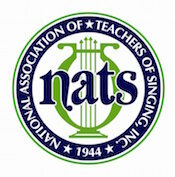 Attentive, enthusiastic, and a love of singing? Willing to learn and follow our exclusive syllabus? – Past and current students welcome to apply. Free intensive training provided to the right person, with potential to work one to five days a week in VSA studios all over Melbourne and online. We are looking for teachers to teach ASAP at our Dandenong, Bayswater or Carnegie studio. Before forming iconic Australian blues based rock band Electric Mary in 2003 Rusty perform for numerous years in his previous band Mr Brown. Electric Mary formed in 2003 and named themselves after Rusty Brown met Mary Campbell, the manager of Jimi Hendrix‘s Electric Lady Studios in New York City. In 2008 they were finalists at the MusicOz Awards, nominated for Best Rock Band.They were also selected to support Whitesnake and Judas Priest. 2009 saw them tour with Alice Cooper and Glenn Hughes, as well as showcasing at Experience PRS for PRS Guitars in Stevensville, Maryland alongside the likes of Carlos Santana, Dweezil Zappa and Buddy Guy. In 2010 they supported Deep Purple. Whilst in the States, Electric Mary collaborated with engineer/producer Jason Corsaro on a live recording. Electric Mary also features another Vox Academy student Alex Raunjak lead singer in alternative rock band Bug Dust and blues based rock band Dirt River Radio.